Teen Beat Today: The Ar-Kaics share their love of mid-‘60s garage rock on new album | Music | Style Weekly - Richmond, VA local news, arts, and events. The Ar-Kaics: Johnny (guitar), Kevin (guitar), Tim (bass) and former drummer Patty just released a new album, "In This Time," on Wick Records, an imprint of Daptone. People who say rock music is dead may have selective hearing. Or maybe their generally confused, Spotify-generated playlists are leading them straight to hell, away from the light of raw guitar glory. But rock fans are still out there: Vinyl sales keep seeing double-digit growth annually and nobody's even counting the bulk of used records sold. For years now, some of the country's best rock bands have returned to early garage roots for inspiration, distilling their sound to the basics, which is not a bad way to begin describing the Ar-Kaics, a committed four-piece making "troglodyte Teenbeat '60s-style punk," as described on their Facebook page. Last month the band released a full-length album, "In This Time" on Wick Records, a spinoff rock imprint from the revered soul and funk label Daptone in Brooklyn. Filled with reverb-drenched guitar arpeggios and twangy hooks, it feels like one of the few "Nuggets"-era throwbacks with raw, youthful energy and solid songwriting. Having started six years ago as a Richmond trio, the Ar-Kaics have dispersed since with guitarists and vocalists Johnny Ward and Kevin Longendyke now residing in Northern Virginia. Bassist Tim Abbondello still lives in Richmond, as does former drummer Patty Conway, who plays on the new record but has since been replaced by "Jake, a Nova friend." There was no drama involved, they say, Conway recently got married and is busy with life in general, working community relations for Henrico Public Library and as vice-president of Girls Rock RVA. The band landed on the Daptone imprint after Wick co-founder Mikey Post, known for playing drums with Reigning Sound, caught a gig in New York. After he invited the band to record a 45-rpm single ("Just My Life" backed with "It's Her Eyes"), the momentum for an album began gathering, Longendyke says. The new full-length was recorded in spring 2017 over three days at Adrian Olsen's Montrose Studio in Richmond, produced by Post and noted engineer Wayne Gordon, who has worked with people as varied as the Black Lips, the Jon Spencer Blues Explosion, and departed greats Amy Winehouse and Sharon Jones. Later it was mixed at Daptone by main songwriters Longendyke and Ward, who've known each other since they were 6 or 7 years old. "The main inspiration when the band started was my obsession with the 'Back from the Grave' [psych and garage rock] comps," Longendyke recalls. "But writing it in our own way. Instead of emulating and copying, in my head I was trying to be one of those bands with original music. Not overwriting things, but [with] hooks. Some of those bands were way ahead of their time with pretty heavy guitar riffs for 1966." Thanks largely to Daptone, the album also features unusual cover art by acclaimed "outsider" artist, Mingering Mike, whose self-taught work was lost in the early 2000s and re-discovered by a record collector in a Washington flea market. "He would do fake covers of gospel and funk records starring himself," Longendyke explains. "He sort of blew up and his whole collection was sold to the Smithsonian. Now he just does art, as well as covers for soul artists [and R.E.M. 's Peter Buck], and runs his own gallery." The reclusive Mike not only agreed to do their album cover, but also appears in the Ar-Kaics' video for their stomping first single, "No Vacancy" — that's him wearing surgical scrubs and playing chess. The band has described the song as a "cautionary tale of youth gone wild and wrong," easily applicable to many of their songs. 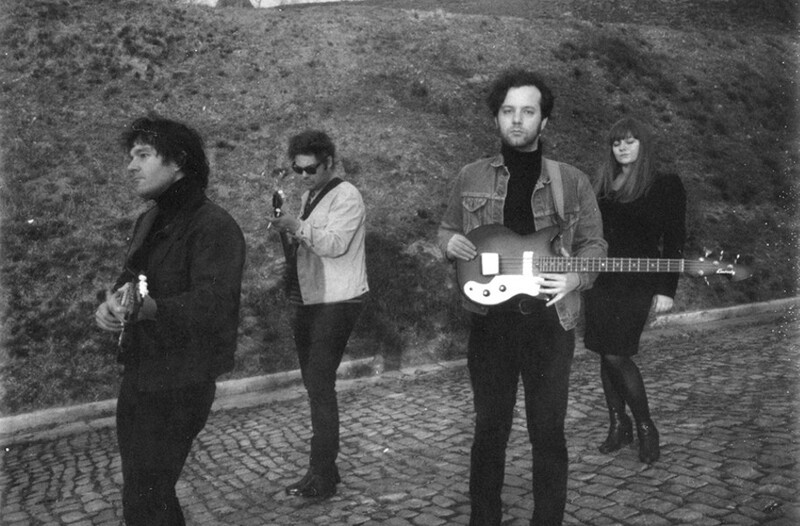 The group has other bona fides: It has played at GonerFest, the premiere American festival for punkish garage rock in Memphis, and toured Europe twice. The Ar-Kaics perform with Christi, Piranha Rama, Weird Tears and DJ Marty Violence at Strange Matter on Thursday, Dec. 6 at 8 p.m. $10. Describe how you kiss in one word? What's your idea of the perfect romantic evening? There's no recipe for romance. It's feral and answers to no name. But the next best thing is to grab the latest slab from Dig Records up at Dig Records and Vintage at 212-C Loudoun St. SE in Leesburg. Which 45 would definitely be on your personal jukebox? Sam Hawkins "She Don't Notice Me"
Who do you consider to be very cool? If a mayonnaise heiress gave you money to produce a free music festival in Richmond — what would it look like? I'd slather the bill with greased, pasty and jiggling talent. Hold the bologna. Where's your favorite place to buy records? Steady Sounds is Richmond's ninth best records store and our personal favorite. Dig Records and Vintage is Kevin's store and worth the trip to Leesburg. Who's the sassiest member of the band? Kevin but the new guy's comin' in hot.